Maha Al-Yousif is a blogger, interior designer and boutique owner. Her blog Bahraini Diva is a mine of fabulous finds. It’s a shame the lady doesn’t blog anymore actively as, in her own words, her business takes up a good part of the day and energy. 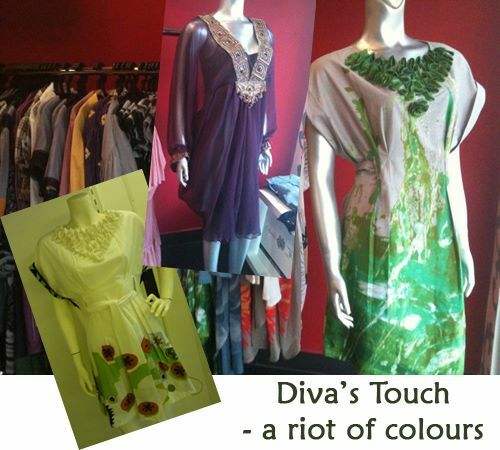 She runs a boutique in Muharraq called Diva’s Touch. As a principle, I don’t post pictures anything but interiors on this blog. But I liked the floral patterns on the cheerful dresses, so making an exception today. Though Maha doesn’t design clothes herself, she travels and procures that fit her style and taste. Sometimes to be a successful business person, all you need is a sense of taste, style and most importantly, the will to follow your heart.And, the 1600 odd fans on FB, is a small testimony of popularity. She says she has been into interior designing for as long as she can remember, but officially started in 2000. 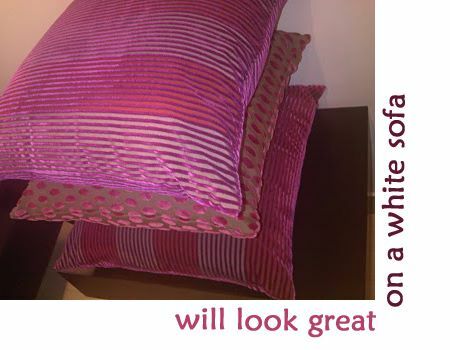 Some cushions designed by her retailing at Al-Aali complex. Stay tuned for more home and store tours next week. Wish you all a Happy Pongal/Sankranti.